Add Cheap as Chips to your favourites! 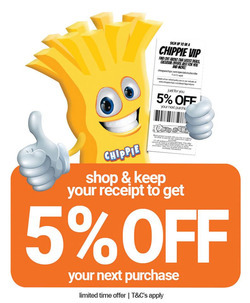 Here you can find all the information about the Cheap as Chips - 205-217 Main North Road store. Opening hours, Cheap as Chips´s phone number, the address of Cheap as Chips´s online store, location on the map and current offers and Catalogue for this branch. Do you want to receive more offers from Cheap as Chips by email?